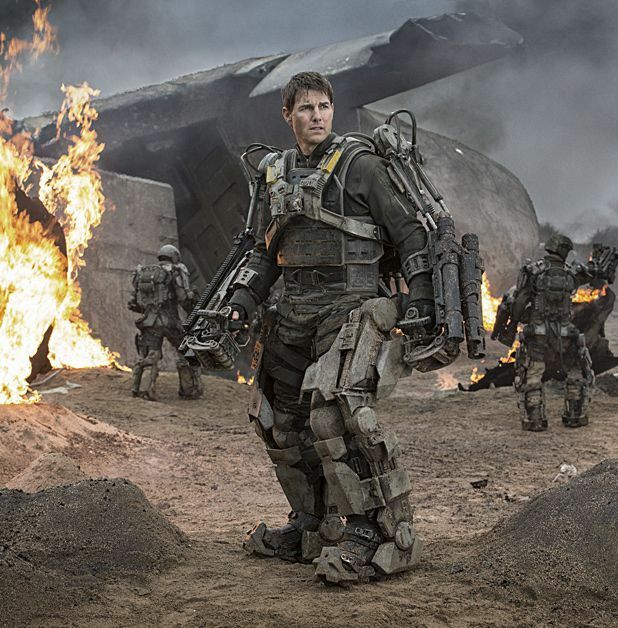 Based on the novel All You Need Is Kill by Hiroshi Sakurazaka, Edge of Tomorrow is directed by Doug Liman (The Bourne Identity) and plays like Groundhog Day crossed with Starship Troopers. Set in the near future, where the Earth is under deadly attack from alien creatures known as Mimics, the film stars Tom Cruise as Major William Cage, a cowardly soldier with no combat experience who gets killed by a Mimic on the battlefield and wakes up the day before his death. Realising he's trapped in a time loop that resets each time he dies, Cage receives unexpected help when he meets star soldier Rita Vrataski (Emily Blunt), who seems to recognise what's happening to him. Together, the pair play out multiple scenarios, with Rita helping Cage improve his combat skills with the time they have together before the battle every day. This is enormous fun. Liman delivers brilliantly on the film's intriguing premise, with the witty, consistently inventive script ticking all the right boxes in terms of the expected pleasures of the time-travel genre. The clever structure is augmented by some terrific editing work that credits the audience with the intelligence to keep track of the story through the repeated resets, while Liman also employs some neat directorial tricks (such as an unexpected change in perspective) to powerful emotional effect. In addition, Cruise and Blunt are both superb, the action sequences are genuinely thrilling and the effects work is impressive throughout. Indeed, the only wrong note is a poorly conceived, and frustratingly non-sensical coda that smacks of studio interference, though this does at least have the benefit of ensuring lively post-film debate in the pub afterwards. General release from Fri 30 May. With Earth under attack from aliens, cowardly soldier Cage (Cruise) is killed, only to wake up the day before, stuck in a time loop. Groundhog Day crossed with Starship Troopers ? Yep, and despite a nonsensical coda it's enormous fun, with a witty script, superb work from Cruise and Blunt, and thrilling action sequences.